We are pleased to share with you our latest Insight. 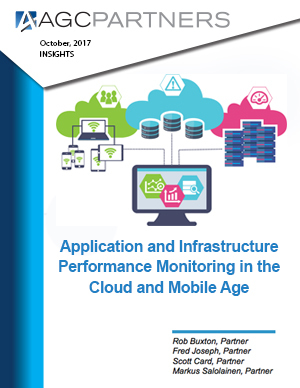 Application and infrastructure performance monitoring focus on ensuring software applications and the underlying networks perform as expected to provide end users with a high quality experience. Vendor focus has shifted from narrow monitoring features such as uptime and resource efficiency to enabling network and application speed and agility. Please complete the form below to request the PDF.